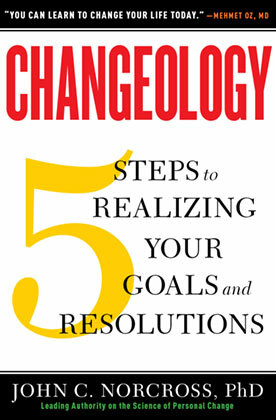 John C. Norcross, PhD, ABPP, is an internationally recognized expert on behavior change and undisputed authority on New Year’s resolutions. He is Distinguished Professor of Psychology at the University of Scranton and a board-certified clinical psychologist. Dr. Norcross is also Clinical Professor at The Commonwealth Medical College and Adjunct Professor of Psychiatry at SUNY Upstate Medical University. Dr. Norcross has authored over 300 publications and edited or co-written 22 professional books. Many of them, considered classics in the field, are entering multiple editions. His coauthored Systems of Psychotherapy textbook is in its eighth edition, the Insider’s Guide to Graduate School in Clinical and Counseling Psychology sold more than 160,000 copies, and his Self-Help that Works was released in its fourth edition. His reach and influence are truly international, as witnessed by invited presentations in 30 countries and translation of his books into dozens of languages. The distinctive ability to translate scientific research into practical applications characterizes all of his work. Dr. Norcross has consulted with dozens of healthcare organizations, including the National Institutes of Mental Health (NIMH) and leading pharmaceutical companies, to ensure the success of patient’s behavior change.